On July 18th, when Dell (DELL) shareholders vote on the offer by founder Michael Dell to take the company private for $24.4 billion, at stake is not just whether existing shareholders get their money’s worth. The outcome also will determine whether Dell gets a shot at thriving in a post-PC era. The alternative is not pretty. After Michael Dell’s plan was made public in February, the board initiated a go-shop period that did not produce any credible alternatives. Public equity firm Blackstone raised its hand, but asked Dell for reimbursement of its due diligence costs. 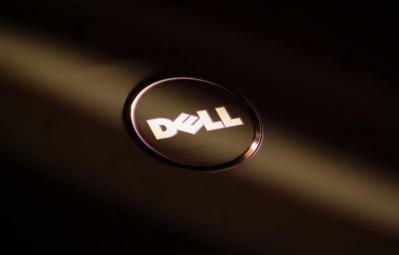 Dell granted the request with a $25 million cap in hopes that it would increase the chances of getting a superior offer. Blackstone ended its pursuit of Dell a month after it had begun. Carl Icahn gets credit for being clever and persistent with his plan to reward existing shareholders. Icahn proposed using Dell’s existing cash to pay a special dividend of $14 per share – 35 cents a share higher than the $13.65 per share being offered by Dell and his partners – then leveraging the company with new debt and leaving part of it publicly traded. Existing shareholders might be happy with the Icahn plan. (By the way, I am not a Dell shareholder.) But it would leave Dell even less attractive to new and existing investors than it is now. Who wants to own stock in a public company going through a 3 to 5 year business transition burdened by sizeable new debt? What’s notable is not a single operating company stepped up to consider buying Dell. In other words, no one with the intention of tackling the business transformation challenge the company faces, with the goal of creating lasting value for customers and shareholders, was willing to do it. Dell may be too big for a strategic buyer to acquire. But Dell is not too big to fail. While it’s going to be close, I believe that Dell shareholders ultimately will vote to accept Michael Dell’s offer – and they should. Going private offers the company the best opportunity it has to create value for all parties involved over the long haul, including existing shareholders. For starters, if after Thursday’s vote Dell must continue as a public company, existing shareholders may face a precipitous stock dive. The stock might not go all the way down to its 52-week low of $8.69 per share, but certainly it would go lower than the $13.65 per share that is on the table with the Michael Dell deal. In fact, uncertainty over the upcoming vote is already creating volatility in Dell’s stock price. Monday’s close was down 1 percent and today, Dell’s stock fell 1 percent in early trading and briefly traded below $13 a share. But more important, for Dell to make the leap from a PC products company to a solutions company – which it must do to survive – it must go private. Freed from Wall Street's insatiable appetite for short-term growth, Dell would be able to take the tough, but necessary, actions that could help accelerate its transition into new higher value and higher margin businesses. Because the truth is this transition can't – and won't – happen overnight – even without the scrutiny of Wall Street. Consider IBM (IBM). I compared IBM’s spectacularly successful transition from a technology and sales leader to a global consulting powerhouse to what lies ahead for Dell when the deal was first announced earlier this year. The IBM transformation started in 1993 and took a decade. Moreover, IBM had a head start. It already had a well-established software business and a much broader product line than Dell – from PCs to servers and mainframes. And 2013 isn't 1993. IBM benefited from making the transition early in the game – before the decline of PCs in favor smartphones and tablets rocked the worlds of all the old-guard tech titans of 1980s, 1990s and early 2000s. For proof of how much more challenging the world is today, look no further than HP (HPQ). While making progress under the leadership of Meg Whitman, HP has struggled to adapt to changing market conditions. Just as Dell has spent $13 billion so far on acquisitions that have not produced results, HP has also invested billions in failed acquisitions. The purchase of Autonomy in the pre-Whitman era by HP for $8 billion is just one example. Microsoft’s (MSFT) seismic strategy shift to becoming a devices and services company hasn’t helped. To reshape its business for the future, Microsoft effectively blew up the partner ecosystem the company built and nurtured with Intel for decades. Companies like Dell and HP and thousands of other Microsoft partners became collateral damage. Meanwhile, market conditions are getting steadily worse. Gartner reported that PC shipments in the second quarter of 2013 were down 10.9 percent – the fifth consecutive quarter of declining shipments and the longest duration of decline in the PC market’s history. For a company such as Dell – whose core strengths are still PCs and servers – this is very bad news. If anyone had doubts before, it should now be obvious that Dell has no choice but to transform its business – or risk going out of business. Key to making this transition is making large, strategic acquisitions that accelerate the transition. This need makes another strong argument for why Dell must go private. As a company with a broader product line about to get even broader, Dell competes with a number of companies that can probably “best it” when it comes to being an attractive buyer for a quality seller. Indian IT services company TCS trades at 4.1 times (TTM) revenue. Consulting firm Accenture (ACN) trades at 1.5 times (TTM) revenue. The list goes on and on. As a public company, Dell likely would get beaten in any competition with any of these companies if both wanted the same asset. But as a private company, Dell can make decisions that are good for the long-term prospects of the business – and have the leeway to execute on them – away from the public eye. Potential sellers (and partners, for that matter) might find Dell’s progress appealing and agree to be acquired. The result could be a transformed business that even though a lot smaller, would have higher margins and rising value. Of course, it remains to be seen whether Dell would be successful transforming its business. But in my view, the company’s best bet is to be given the chance. The alternative is for Dell to continue exploiting PCs – its declining core asset – which would probably force it into a price war with worldwide market share leader Lenovo. And that’s just a race to the bottom.